Kiwis love relaxing at their local café – so long as it’s comfortable. That means, shade in the summer and warmth in the winter. 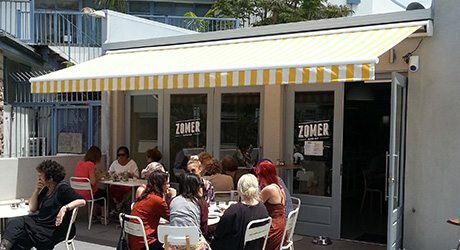 Within our extensive range of awnings, drop down café screens or curtains, and canopies we’re certain to have the answer to your café weather screening need. 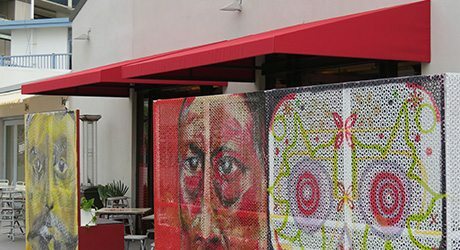 We’ll provide cover that will make your café a comfortable place to be every month of the year which can only be great for business. 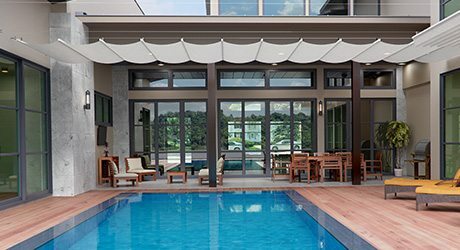 Retractable Awnings can turn an outside eating area into an inside café that is stylish and comfortable. 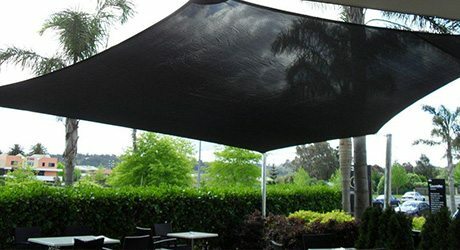 Total Cover Shade and Shelter has a range of screens that can provide great protection to your cafe. 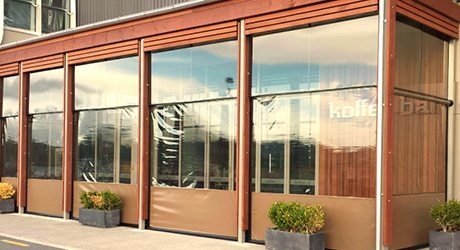 We have a range of colours but, for cafés, we use predominantly high quality, weather-resistant clear PVC which allows outside light in and views out, or sunshade mesh to block out the sun and still provide a view looking out but not in. Our drop down screens are easily rolled up when required. We even have automated screens. 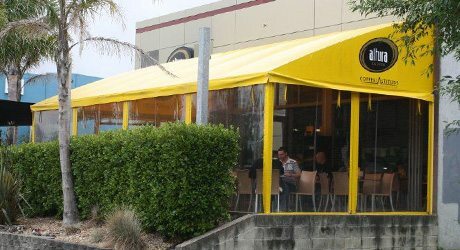 For a strong and robust roof for your cafe, you can’t go past a Fixed Frame Canopy or Tensioned Membrane Structure with either PVC or polycarbonate roofing. 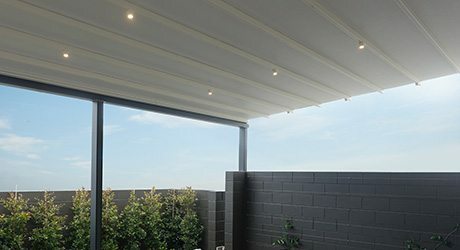 A Total Cover Shade and Shelter Canopy provides additional outdoor living space with protection from the rain and harmful UV rays. It looks great over your café outdoor area. The words “shade sail” often bring to mind that large green sail at the local school. A Total Cover Shade Sail can be far more classy than that. We have a range of colours and will custom design a size and shape to fit your cafe.